If you are thinking of giving blood, then it may interest you to know where that blood is going to end up and what’s likely to be done with it. Meanwhile if you require a blood transfusion, or if you have ever had it in the past, then you may be interested to know precisely what it involves and how it works. 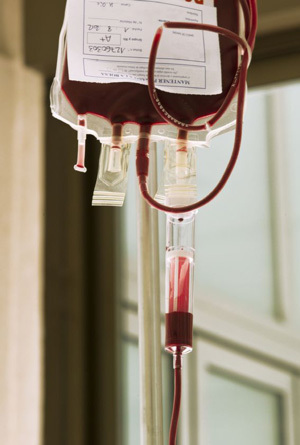 Here then we will look at the basics of a blood transfusion and what to expect. Blood will normally come from someone who has chosen to give blood, and it will have been thoroughly screened and tested before you receive it. Many groups are discouraged from giving blood first of all, including those who have ever used drugs or who have ever worked as prostitutes (due to the increased likelihood of a blood-borne infection). Then the blood will be tested for hepatitis B and C, for HIV and Aids, for syphilis and for HTLV (Human T-Cell Lymphotropic Virus). Sometimes it will also be tested for malaria and West Nile virus if appropriate. The blood will also be chosen to ensure it is the correct blood type – and people with rare blood types are particularly encouraged to give blood. From here the blood will then be given in most vases via a plastic tube called a ‘cannula’. This is inserted into a vein in the arm and left in. The cannula in turn is attached to a drip which allows blood to pass through into the arm. Depending on the problem a patient may need a larger tube inserted directly into the chest (called a central line). Other times a peripherally central catheter (PICC line) will be used in the crook of the arm. This then means that someone who is losing a lot of blood, or who has lost a lot of blood, can regain the mixture of iron, oxygen, minerals, proteins and fluids that they need in order to survive while they recover. Normally they won’t feel anything while receiving the blood, and negative reactions to blood transfusions are very rare. Mild reactions are dealt with by using paracetamol and slowing down the transfusion.